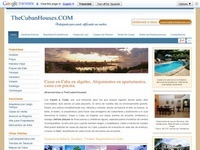 Luxury accommodations in Cuba. Homes for rent with high comfort conditions. Refined environments. Information for hotels. Vacation Rental Homes. All our lodgings have been previously selected for our private association of lessors.